On 10/23/2011 at approximately 4:50 PM, the San Luis Obispo, CA Police Department received a 911 call regarding a male subject that appeared dead at the base of Madonna Mountain (near Lincoln and Mountain View). Officers responded to the area and were led to the body by the reporting party. Upon officer’s arrival, fire and medics were requested to respond to the location, at which time the male was pronounced dead. Further examination of the body revealed several injuries to the face and head. Due to the suspicious nature of the death and injuries, San Luis Obispo Police Detectives and the San Luis Obispo Sheriff’s Coroner responded to the location. Currently the cause of death has not been determined and the investigation is being considered a possible homicide. The San Luis Obispo Police Department is asking for the public’s help with any information regarding suspicious activity seen or heard on the trails around Madonna Mountain. 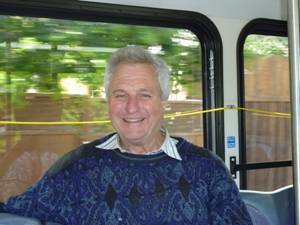 The victim was positively identified as Charles Lavenson, who is a resident of San Luis Obispo. Mr. Lavenson is known to be an avid walker and is often seen walking around the city and on local trails. Lavenson was found wearing khaki pants, a button up short sleeve shirt (white with blue stripes) and brown dress shoes with white shoe laces. Anyone who may have seen or contacted Lavenson on Sunday is asked to contact the San Luis Obispo Police Department. 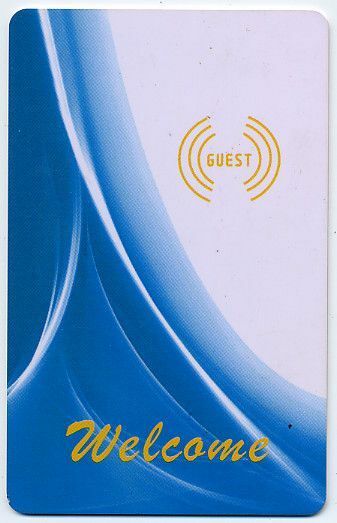 A plastic hotel/motel room key was found in one of Lavenson’s pockets. Police investigators are attempting to identify the hotel/motel associated with the key. 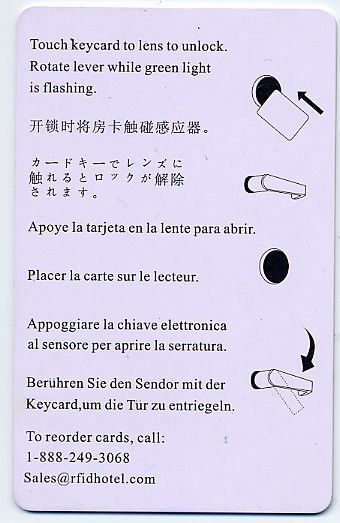 Included are pictures of the front and back of the key. Currently the investigation is ongoing, anyone with information regarding this crime is urged to call the San Luis Obispo Police Department at (805)781-7317, or remain anonymous by calling Crime Stoppers at 549 STOP (549-7867). You can also submit your tip through this website. 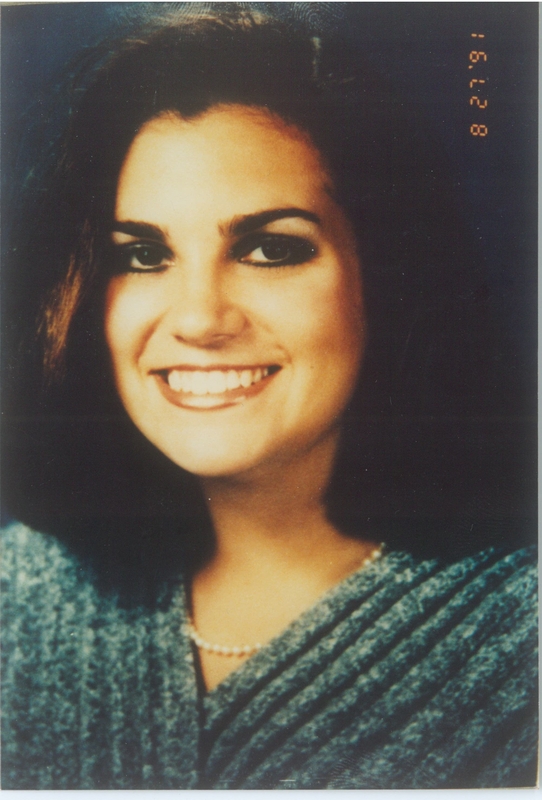 On August 25, 1991, 20 year old Marina RUGGIERO, a resident of San Pedro, CA, traveled to San Luis Obispo with her family to attend the wedding of a family friend. The wedding and reception took place at the Monday Club located at 1815 Monterey, which is across the street from the Holiday Inn Express, (formerly the Cuesta Canyon Lodge) at 1800 Monterey Street. At approximately 11:00 PM, the San Luis Obispo Police Department received several 911 calls reporting a female victim had been stabbed in room 327 at the Cuesta Canyon Lodge. Police and Fire personnel responded to the scene and located Marina RUGGIERO, who was unresponsive. EMS personnel and hospital staff were unable to revive Marina and she died that night as a result of her injuries. San Luis Obispo Police Department investigators are looking into old and new information to solve this homicide. If you were in the area on or about August 25, 1991 and saw or heard anything unusual, please contact the investigators listed below. If your information was given to law enforcement previously, investigators would still like to discuss these details with you. Sometimes those involved in crimes will later disclose details to friends, family, or acquaintances. If you believe you have any such information, it could be critical in resolving this homicide. We urge you to contact investigators. If anyone has information about this homicide and wishes to remain anonymous, please call Crime Stoppers at 549 STOP (549-7867). You can also submit your tip through this website. The California Highway Patrol, San Luis Obispo Area, is investigating a fatal hit and run collision which occurred in the Nipomo area of San Luis Obispo County. On February 01, 2011, at between 5:00 am and 6:00 am, a female pedestrian was struck by an unknown vehicle near the driveway of 696 Joshua Road, located in San Luis Obispo County between Orchard Road and Hutton Road. The California Highway Patrol is seeking information from anyone who may have witnessed the collision, observed a person walking or standing along Joshua Road at this location, or talked with someone who may have information regarding the collision. We are also asking local paint / body shops or vehicle repair businesses to notify us if they see, hear, or have anyone inquire about repairing a vehicle which they believe could have been involved in a vehicle vs. pedestrian collision. Any information you have could be important, so please don’t hesitate to contact the California Highway Patrol, San Luis Area, at (805) 593-3300, or remain anonymous by calling Crime Stoppers at 549-STOP (549-7867). You can also submit your tip through this website. On October 25, 2009 at approximately 1:48 AM, downtown bicycle police officers were flagged down by several bystanders at 735 Higuera, Bubble Gum Alley. Nathan Moore was found lying on the ground unconscious. A witness reported seeing the suspect punch Moore knocking him to the ground. The suspect fled the area and was last seen walking eastbound on Higuera. SLO City Fire and San Luis Ambulance paramedics responded to administer first aid. Moore was transported to Sierra Vista Hospital where he remains in the intensive care unit with a significant head injury. The suspect is described as a white male, 20-25 years old, 5’-7”, blonde hair described as “buzz cut”, wearing a tan color shirt and blue jeans. The witness reported seeing several bystanders possibly witnessing the assault. Any persons with additional information regarding this offense are urged to telephone the San Luis Obispo Police Department at (805) 781-7317, or remain anonymous by calling Crime Stoppers at 549 STOP (549-7867). You can also submit your tip through this website. The original witness saw two suspects identified as Hispanic male adults running from the scene, East on Morro Bay Blvd toward Shasta Ave. San Luis Obispo Deputy Sheriffs responded and assisted Morro Bay Police with checking the area in an attempt to locate the suspects. Morro Bay Harbor Patrol and the United States Coast Guard also assisted by checking along the water front areas after a second witness stated they had seen two Hispanic males running toward the Embarcadero area. The first suspect was described as a Hispanic male approximately 18-20 years of age, 5’7” tall and wearing a zip-up gray hoodie and blue jeans. The second suspect was described as a Hispanic male, approximately 22-23 years of age, 5’7” tall, shaved head, goatee, wearing a black t-shirt and blue jean shorts. Morro Bay Police Detectives interviewed the victim at the hospital and obtained a statement. The victim had just met the subjects and believed they were from out of the area. Morro Bay Police Department needs the public’s help in identifying the suspects to this crime and is asking for anyone with information related to this crime to call Morro Bay Police Department at 772-6225. If a witness wants to remain anonymous or be eligible for a reward they can call Crime Stoppers at 549-7867. 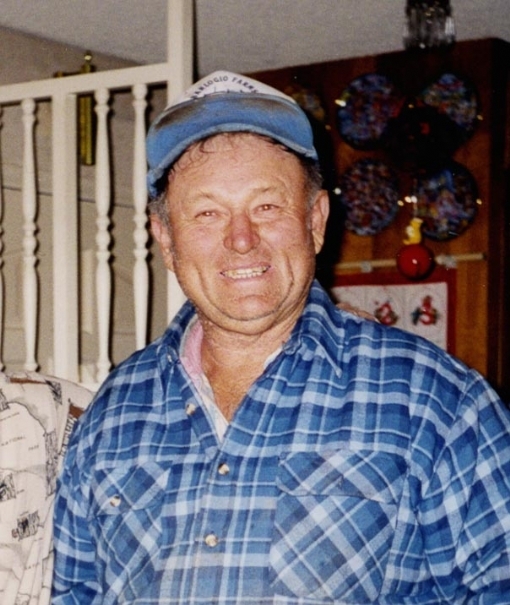 The Crime Stoppers program of San Luis Obispo County has announced a $5,000.00 reward for information leading to the identification, arrest and conviction of person(s) involved in the murder of 71 year old Templeton resident, Jerry Lee Greer. Greer was killed in his home on or about March 28, 2009. Relatives had gone to the Greer home in the 2400 blk of Santa Rita Creek Road, Templeton, after the victim failed to appear at a luncheon appointment. Greer was found shot to death inside the residence. If anyone has information on the supspect(s), they are urged to call the San Luis Obispo County Sheriff`s Office at (805) 781-4550, or remain anonymous by calling Crime Stoppers at 549 STOP (549-7867). You can also submit your tip through this website.